Age of Innocence's Summer Special did extremely well on Saturday. I had over 700 downloads! :-) The downloads were from the United States, United Kingdom, & Germany. Awesome! I am so glad that I am reaching a wider reading audience. Those who downloaded my novel, thanks for the support. I could not have done it with out you all. Please don't forget to leave a comment on Amazon. For those who did not, don't worry, I will have some more contests, promotions, and freebies in the near future. Keep checking my blog for updates. And don't forget to check out my vlogs on YouTube @ http://www.youtube.com/user/purpoz1. Happy Reading!!! 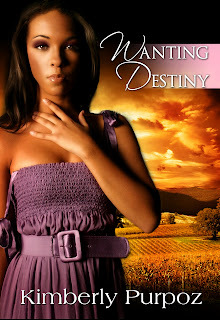 This week I talked to my readers and viewers about how I created and developed the main character Destiny William in "Wanting Destiny". * Note in this video I also used Sally Hansen's "Cleared for Take Off" for my base and top coat. This is a snapshot I took while doing my Vlog, Purpoz Living, on Revlon's new glitter nails. :-) I will be posting this video soon on my blog and also on my YouTube channel @ http://www.youtube.com/user/purpoz1. I grew up in the 1980's and on this v-log I share five more street slang or language that teens/young adults used during that time period. 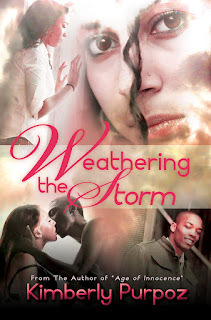 Some of the slang were used in my novel, "Age of Innocence" and upcoming novel "Weathering the Storm". I am sharing my weight loss Journey and how I managed to drop two dress sizes. Wanting Destiny's Summer Special did extremely well on Saturday. I had almost 1,300 downloads! :-) The downloads were from the United States, United Kingdom, Germany, France, Spain. Awesome! I am so glad that I am reaching a wider reading audience. I am sharing with my readers and viewers the deep spiritual meaning of my pen name, "Purpoz".